"To cruise Rhodes Greece is more than anything else, like stepping into your favorite history movie about knights..."
TOP 5 RHODES SIGHTS - Visiting Rhodes would not be complete without seeing these 5 sights in Rhodes Old town! RHODES KNIGHTS OF ST. JOHN - they have left a lasting imprint on the old town of Rhodes. ANCIENT RHODES, PART 1 - Put aside a few minutes to read a little bit about ancient Rhodes history, it will put things into perspective for you! ANCIENT RHODES, PART 2 - Learn some interesting facts about the golden age of Ancient Rhodes! RHODES WEATHER - You don't necessarily need to wait for the Captain's announcements to find out what the weather in Rhodes will be like! RHODES BEACHES- If you manage to spare some time from all your Rhodes sightseeing, hit some of the Rhodes beaches the island is famous for! RHODES MUSEUMS - Learn more about the Rhodes Archaelogical museum and other Rhodes must-see museums! PALACE OF THE GRAND MASTER - Perching on top of a little hill inside the old town, the Palace of the Grand Master is one of the highlights of Rhodes sightseeing. VISITING LINDOS RHODES - A little quaint town famous for its Acropolis is a must see for many Mediterranean cruisers. LINDOS TOWN ACROPOLIS - The Athens Acropolis isn't the only one you should see while on your Mediterranean cruise! RHODES TAXI - Find out where to take a taxi in Rhodes, how much you can expect to pay and how to organize your day! RHODES IMAGES PHOTO GALLERY I - A little sneak peek into what you'll see in the Rhodes Archaeological Museum's courtyard! 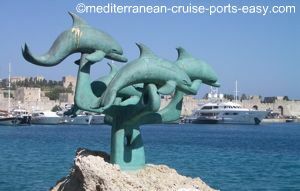 RHODES PHOTOS GALLERY II - See what Rhodes looks like when you stray away from the usual touristy areas! LINDOS RHODES GREECE PHOTO GALLERY I - Lindos is a quaint little town with whitewashed houses and a mysterious Middle-age feel to it! Check out the photos! I would say that Mediterranean cruisers always get more than they bargained for when they cruise Rhodes Greece. Most people simply don't know what to expect before getting there. Is it a small Greek island with donkeys being the main source of transportation? Is it a place where the only highlight is a visit to the beach? Is it a loud resort place? Is it just another place full of old ruins... and God knows we've seen enough of those. So what's there to do when you cruise Rhodes Greece? Well, Rhodes Greece offers much more than seeing a pile of dead stones! 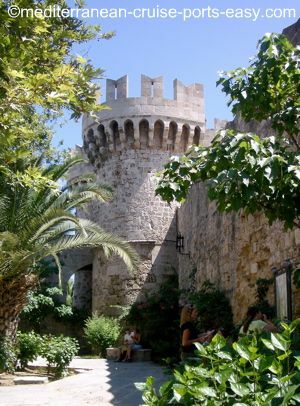 To cruise Rhodes is more than anything else, like stepping into your favorite history movie about knights; their coats of arms still built into the walls and cannon balls scattered around the lawn like they were here just yesterday, protecting the town from intruders. But also, Rhodes brings to life times when every famous poet, philosopher, sculptor or astronomer of antiquity came to study, teach or create on the ancient Rhodes island; evokes calls for prayer from the minarets, draws you into the shade of Byzantine churches... Rhodes Greece is like a different point on a timeline, all blended into one! If you know nothing about the history of this part of the Mediterranean, consulting a good Rhodes Greece travel guide book before your visit will pay back multiple times! 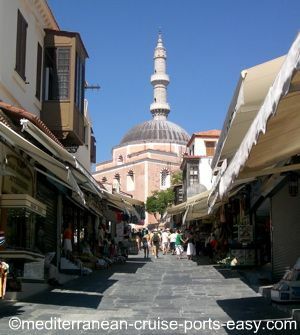 Otherwise, Greek temples, Byzantine churches, Street of the Knights and Turkish mosques might be a bit too much to digest all at the same time, in just a few hours of your stay when you cruise Rhodes. You might know more than you think, how about the Colossus of Rhodes? 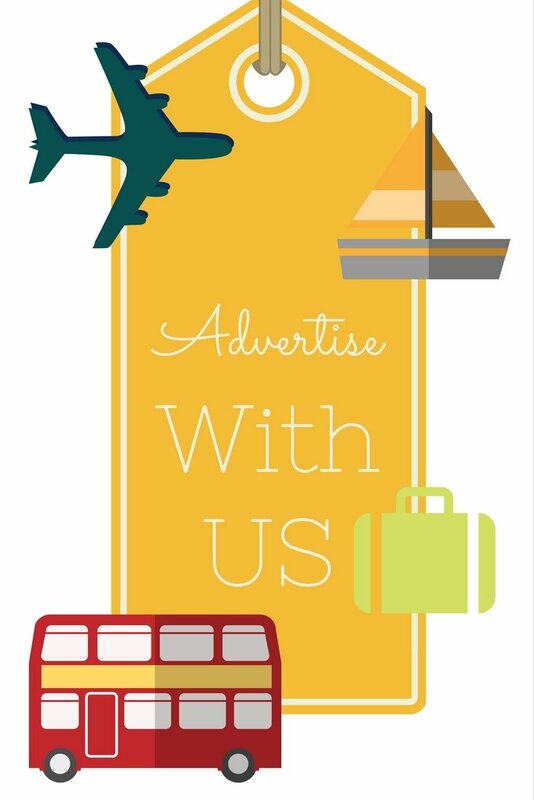 For all the rest, we'll take care of it right here at Mediterranean Cruise Ports Easy! How to get around Rhodes Greece port? When you cruise Rhodes, you can both take your cruise line organized tours or easily explore the old town of Rhodes on your own. Here, you will learn how to get from your cruise ship to the old town, how to reach the must see Rhodes sights as well as how to get lost in the labyrinth of Rhodes town Greece back streets. Sometimes, it's these that'll let you get in touch with history maybe even more and let you have it all for yourself for as long as you want to. Rhodes new town is another area you can head to if left with some time to kill or on your way to/from the town beach. If you're looking for an escape from the flood of touristy shopping on the streets of Rhodes Greece or simply looking to buy a couple of regular clothing items to get you through until your cruise line tracks down your lost luggage, the new town is the place to go! 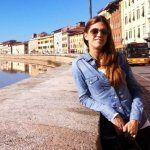 What to do in Rhodes Greece? Would you like to add some downtime on the beach after your intense old town Rhodes Greece sightseeing? No problem, there's some Rhodes beaches within walking distance from the ship and we have marked them on our Rhodes map for you. And there are some beaches you can reach with a taxi or with a rental car. With so much to see and do in the old town of Rhodes, that's definitely where you should spend most of your time when you cruise Rhodes. However, maybe you've been there, done that already and now you want to see some other points of interest around the island. The town of Lindos Rhodes Greece is one of the most famous ones and taxi drivers will be happy to sign you up for a taxi tour to see it. You like to take charge completely and you're adventurous enough to go around the island by yourself? That's easy, there are car/scooter rentals just a few steps outside the cruise ship dock when you cruise Rhodes. Just keep in mind, Rhodes is not a very small island and you better have a good map! And finally, we'll let you in on a few favorite places of our own we like to go to for a quiet cup of coffee or a nice lunch! Although you might have taken your cruise to Europe because you've always wanted to see Istanbul, the pyramids in Cairo, or Santorini... at the end of your Mediterranean cruise you'll be more than happy you had a chance to cruise Rhodes! If you're still young at heart, Rhodes will give you a heightened sense of mystery and adventure, excitement of never knowing which century you might walk into when you turn round the corner.